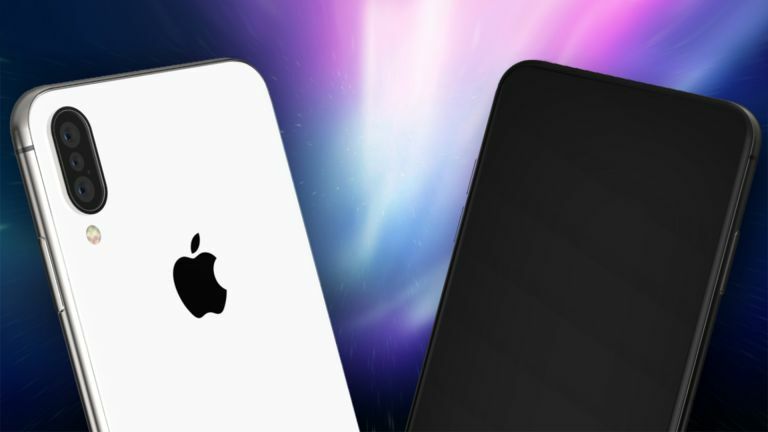 The new iPhone 11 expected in 2019 could be Apple's first true all screen smartphone as it has emerged the company is working on putting its new front-facing camera under the display. Next iPhone 11 leaks and rumours have started! We've already reported on rumours of Apple planing to ditch its notch display for the iPhone 11 and now new evidence has come to light that supports this. A fresh patent has been uncovered which shows that Apple is currently looking into how it can place the front-facing camera under the phone's display. This isn't the first time this type of tech has been talked about. Many a rumour has cropped up about the Samsung Galaxy S10 featuring just such a screen. In fact the company officially teased that exact screen at its developer conference with the name New Infinity. Since the Samsung Galaxy S10 is expected to arrive early in 2019, Apple should have time to catch up for its iPhone 11 reveal around September time. If Apple can't offer the tech of Samsung, it will stand out as sorely lacking since the all-screen phone is what's been the goal of manufacturers for sometime now. Once it's reached, anything without that all-screen display will look old. Apple will likely release many variants of the iPhone 11, as Samsung is expected to do with the S10. This will allow it to offer the latest high-end full screen iPhone at a premium price – so don't expect this to be even close to affordable when it arrives.